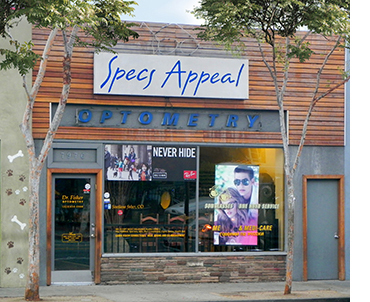 Specs Appeal Optometry is at 7976 Santa Monica Blvd. in West Hollywood between Fairfax and Crescent Heights. We are right across the street from the French Quarter Restaurant. Parking can generally be found on the neighborhood side streets to either side of our block, or at a meter on Santa Monica Blvd. (Always read the parking signs).